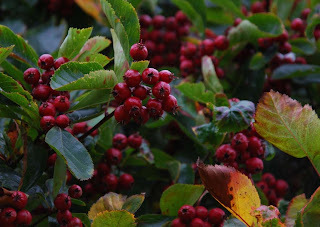 Crataegus crus-galli is a native of North America but is occasionally grown as an ornamental in Europe. It is called coackspur thorn due to its very long spines (up to 10cm). 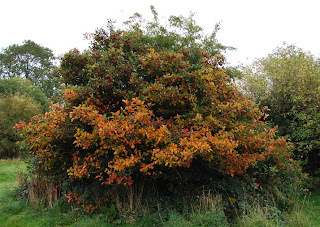 This is the only specimen I know of in Bristol and last year I gathered a number of its big starchy berrys... it makes an excellent jelly for fatty meets such as duck or goose. Maybe I will again once the first frost has touched them.